The Easter Bunny is visiting West Chester Railroad! 'Hop' on board the West Chester Railroad and take a 90 minute round trip along the beautiful Chester Creek from West Chester to historic Glen Mills village. The Easter Bunny will be on board our heated decorated train handing out treats to all passengers! 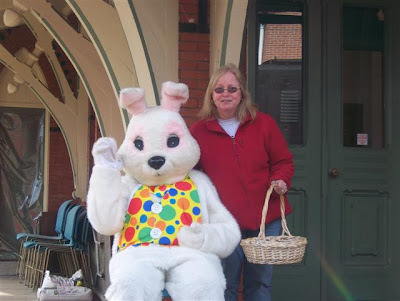 During our stop at Glen Mills there will be plenty of opportunities for you to take a brief photo with the Easter Bunny. Be sure to bring your camera! Greg Wright will be playing banjo and singing all of your favorite Easter songs. He also takes song requests, so don't be shy!